How to handle RAW images with ease? 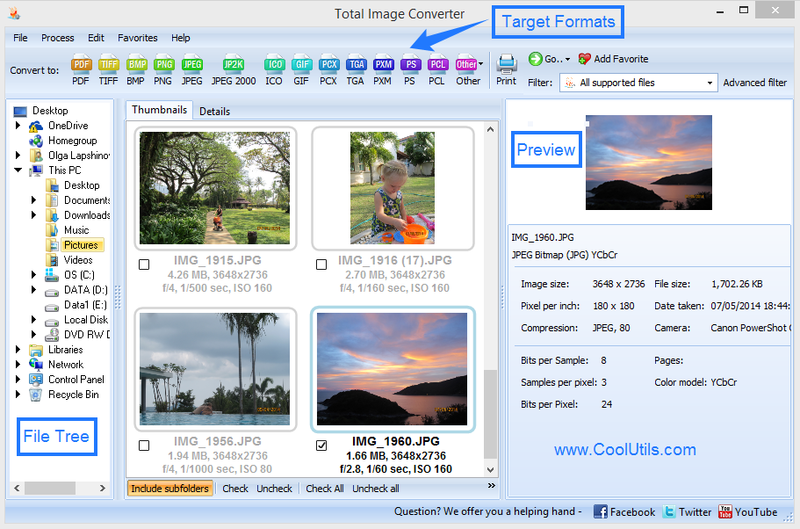 You are here: CoolUtils > Total Image Converter > How to handle RAW images with ease? 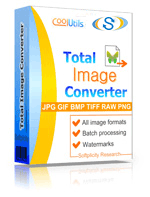 Total Image Converter is the most time-saving utility for exporting images into various formats. It doesn't only convert graphic files, it can also combine original images into one result file. This way a batch of JPEG files can become one multi-page PDF document. In the "Select destination" tab choose "Combine images into one…"
Other settings include page formatting, transformation (crop, resize, etc. ), PDF properties and watermark. These are not mandatory settings, they just help to adjust future PDF copy for further use. Watermark protection is useful to provide securing from unwanted use of your documents by third parties. Additionally you can use various conversion parameters. For instance, you can resize images by adding the "-s <Width>x<Height>" parameter. For setting up PDF paper size use the "-ps" command. All options are described in Help menu of Total Image Converter. You can make a few experiments to get familiar with them. Mention that by default the program doesn't delete original files, and you can be sure they will not suffer from any of your experiments. 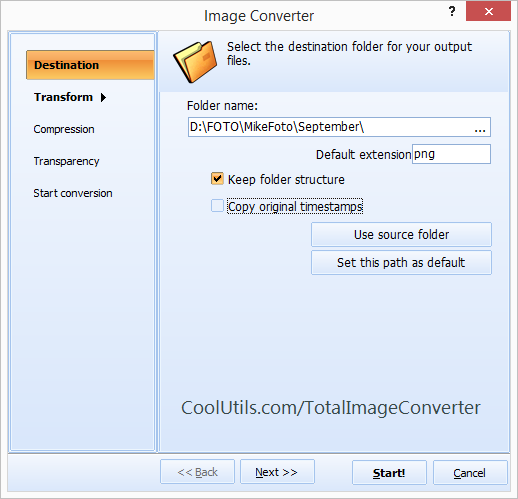 Combining images together will become an easy thing with Total Image Converter. Your helper is here!